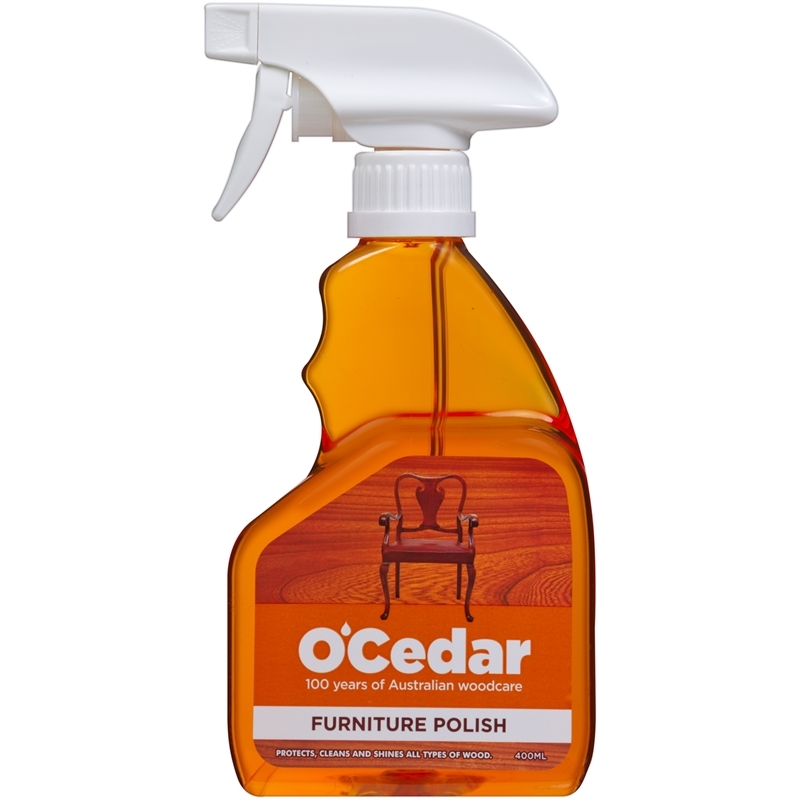 O'Cedar Furniture Polish revives the natural beauty of your wood. 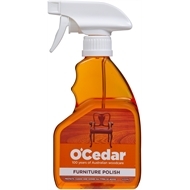 Easy to apply, this polish will conceal scratches, remove stains and prevent drying and cracking, leaving a smear-free finish without leaving any waxy build up. Apply with a soft, dry, clean cloth. 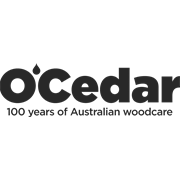 Always wash hands before smoking, eating or using the toilet.Protective eyewear is not normally necessary when using this product.